Emeritus Professor Rosalind Croucher AM is President of the Australian Human Rights Commission. Rosalind commenced her seven-year term as Commission President on 30 July 2017. 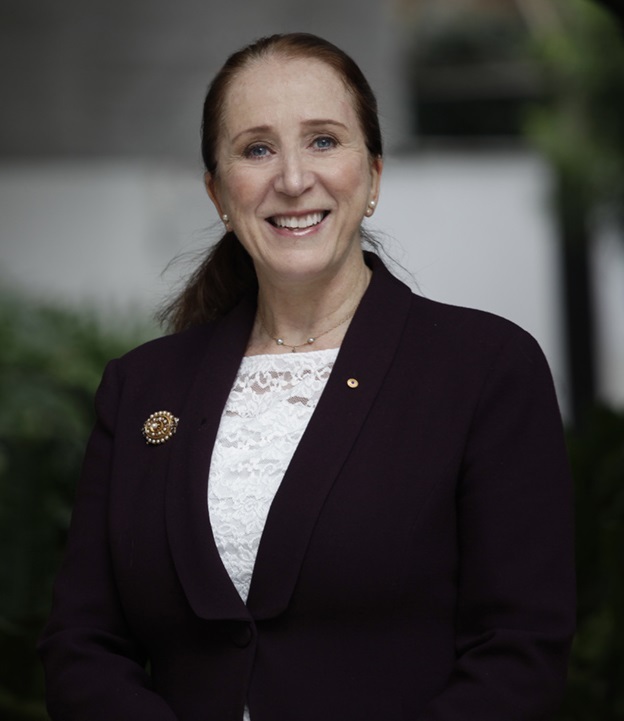 Prior to joining the Commission, Rosalind was President of the Australian Law Reform Commission (2009–2017) and Commissioner (2006–2009), where she led a number of significant law reform inquiries, including on Client Legal Privilege, Secrecy Laws, Family Violence, Discovery, Age Barriers to Work, Disability Laws, Encroachment on Freedoms in Commonwealth Laws and Elder Abuse. As President she also oversaw inquiries such as Native Title, Copyright and Serious Invasions of Privacy. Rosalind had a distinguished career in legal education prior to 2007, with 25 years in university teaching and management. She was Dean of Law at Macquarie University (1999–2007) and Sydney University (1997–1998) and lectured and published extensively, principally in the fields of equity, trusts, property, inheritance and legal history. She became a Foundation Fellow of the Australian Academy of Law in 2007 and was appointed a Member of the Order of Australia in 2015 for significant service to the law as an academic, to legal reform and education, to professional development and to the arts. Rosalind holds a Doctorate of Philosophy from the University of New South Wales, a Bachelor of Laws from the University of Sydney, and a Bachelor of Arts (Honours) from the University of Sydney. She is an Honorary Fellow of St Andrew’s College of the University of Sydney (2002); Honorary Fellow of the Australian College of Legal Medicine (2004); and an Honorary Life Member of the Women Lawyers’ Association of NSW (2013). In 2014, Rosalind was the winner of the Australian Women Lawyer’s Award in recognition of her ‘outstanding contribution to the legal profession’ in supporting and advancing women in the legal profession. In 2014 she was also acknowledged for her contributions to public policy as one of Australia’s ‘100 Women of Influence’ in the Australian Financial Review and Westpac awards. Rosalind has undertaken many pro bono leadership roles — including as Governor of Ascham School for nine years; Councillor of St Andrew’s College; as a board member of the Sydney Philharmonia Choirs; Chair of the Council of Australian Law Deans, 2002–2003; and Vice-President of the International Academy of Estate and Trust law 2000–2005. She is also a keen musician, as instrumentalist (oboe, cor anglais and recorders) — from the Australian Youth Orchestra, the Opera and Ballet Orchestra and the Renaissance Players and, more recently the Australian Lawyers’ Orchestra — and as chorister, with the Philharmonia Motet Choir (1994–2004) and the Bar Choir since its inception in 1996. Rosalind is married to Professor John Croucher AM, a statistician, of Macquarie University.